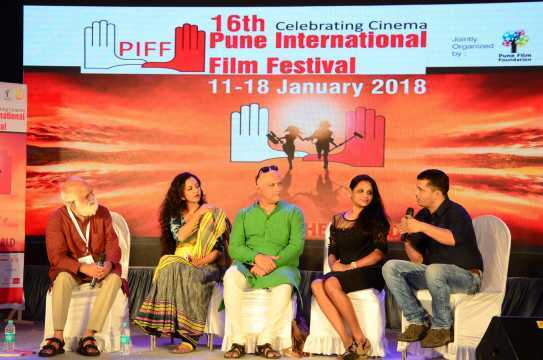 Director Sumitra Bhave speaks about the making of her film Dithee, which was premiered at the Pune International Film Festival last week. At 75, Sumitra Bhave has made her 15th feature film, Dithee, and her passion for cinema does not seem to have waned at all. In Dithee, Bhave explores the meaning of life and death through the story of a Warkari (pilgrim), Ramji, a devotee of Vitthal, whose world comes crashing down after his only son drowns in a flooded river at the peak of monsoon. Adapted from DB Mokashi's story Aata Amod Sunasi Ale, the theme in Dithee is an esoteric one, delving into the conflict between knowledge and ignorance, life and death. 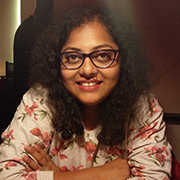 The subject is very close to Bhave's heart, and she eventually had to go through a lot of trouble over the years before she could see it materialize as a film with a powerful star cast that includes Mohan Agashe, Dilip Prabhavalkar, Amruta Subhash, Girish Kulkarni, Kishore Kadam, Shashank Shende and Uttara Baokar. 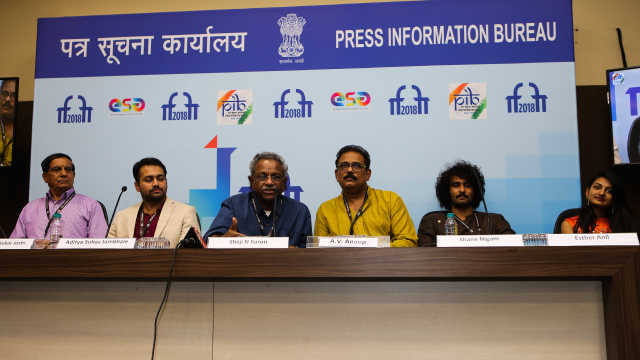 "I and my team had been trying to make the film for many years," Bhave told Cinestaan.com on the sidelines of the Pune International Film Festival, where Dithee had its premiere show. "We would look at the rain for a month and write. Also the worry was finding a producer for a subject of this kind. Five to seven years went by like this. Last year, we even went location hunting, but there was no producer. Finally, I told my team there was no point pursuing this." Eventually, a producer did come on board, and Bhave quickly signed on the actors and technicians and locked their dates. But then the producer backed out, citing creative differences. The film required a goodly sized budget as it involved shooting with many actors in difficult conditions, and a certain production quality. What was it about this subject that fascinated Bhave so much that she had to tell the story no matter what hurdles came her way? "The subject is about the meaning of and understanding life and death," she explained. "This story explores the meaning of life. So, obviously, whoever has that love and curiosity about life and its deeper meaning will find this story enticing." 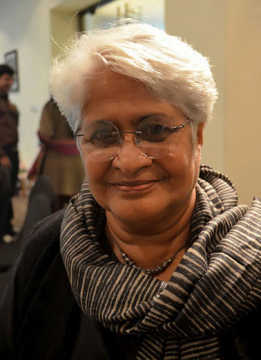 Elaborating on the subject, Bhave said, "I had been fascinated by Di Ba Mokashi's story Aata Amod Sunasi Ale. I felt that a film needs to be made on this story. But it felt difficult because the environment and the philosophy of life and death, it's not easy to make. You have to read Amrut Anubhav and Dnyaneshwari. And I wasn't sure how much of it I understood. I won't say now I have understood it, but at least I am curious." Perhaps the most challenging scene in the film was the climax, which depicted a cow delivering her calf, aided by Kishore Kadam's character. "Yes, it was a difficult scene," the septuagenarian agreed. "Kishore Kadam was very close to the cow. We were scared the animal might do something. Even Amruta Subhash. She befriended the cow and did the scenes." One of the highlights of the film is its final scene, where the star cast, including Agashe, Kadam, Prabhavalkar, Baokar and Girish Kulkarni sing together in their own voices. The filmmaker tried to record them live, but it did not work owing to the noise of the rain outside and she had to re-record the song with them in a studio. "On the spot they all sang, but it was raining so heavily outside that the sound didn't work," Bhave said. "So we re-recorded it. [Music director] Parthav Umrani called each of them to the studio. He used to sing a line and they used to follow him. It turned out beautifully." The constant rain did cause several issues with the sound. "Quite a lot [of problems]," the director said. "Getting the balance [between rain and dialogues] was a problem. We decided to shoot during the rains instead of creating it. And it was raining through most of the shoot." And what is the secret to Bhave's filmmaking energy even at 75? "I meet such good artistes!" she responded. "Agashe told me to keep going and not worry [when Dithee got into producer trouble]. I think I have such great people around me, which makes it possible for me to make films, even at this stage."